Heat the cream up to 85°C (185°F), it kills all the bacteria in the cream, and changes the structure of the milk proteins in the cream. Dissolve the tartaric acid in 2 tbsp water. You can pour it directly as I do in the video, but then you get small crunchy bits if it is not stirred properly. Add water and tartaric acid to the cream and stir well. 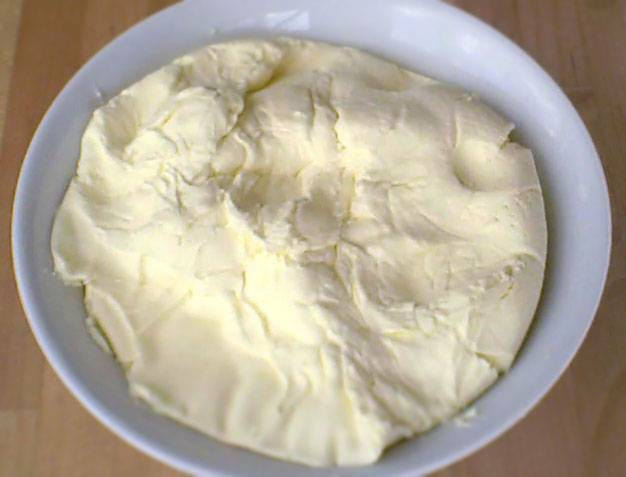 The cream begins almost immediately to thicken. Let it rest overnight in the refrigerator. The whey and curd will slowly begin to separate. Pour the mixture into a sieve so that the whey to drain off. The easiest way is to put some cut-up coffee bags in a colander to cover it completely. You can also use musslin fabric, cheese cloth or an old fabric diaper. Cover and place in the refrigerator to drain for twelve hours. Take the cheese out of the strainer and place in an airtight container. It will keep for a week to a fortnight in the fridge. Is it possible with cooking cream? Hi, Thanks for posting this! 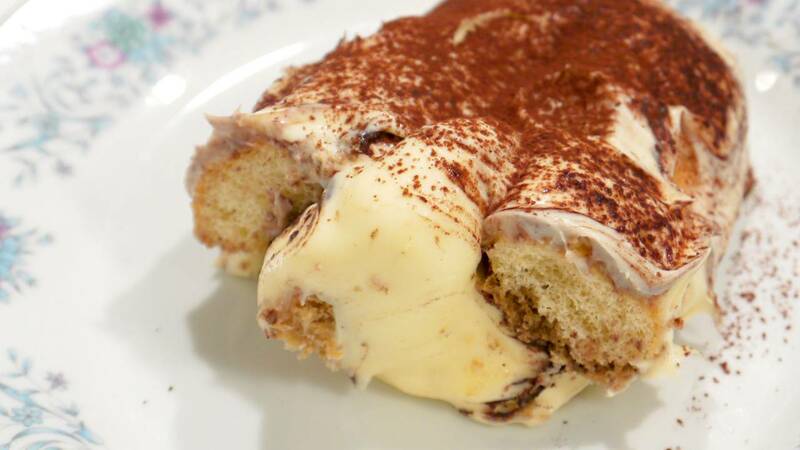 I made my first attempt on making tiramisu this week and was unpleasantly surprised with how expensive Mascarpone was, talk about 14$ for 1 lb! I found another recipe for making this cheese but that recipe doesn't require heating the cream before adding acid. Is it necessary to heat cream? since it is pasteurized, then no worries about germs, but would heating change the resulting consistency/taste of the cheese? Is ordinary cooking/leavening Cream of Tartar the same as the tartaric acid called for in your recipe? ?